AGM X3 comes with a 5.9 inches IPS LCD capacitive touchscreen. It is powered by a Qualcomm Snapdragon 845 SoC and Adreno Adreno 630 GPU. It has 8GB RAM & 64GB/128GB internal storage. Talking about the photography capability, this smartphone has a 21+12 MP dual rear camera and 21 MP front camera. This device is powered by a 4100mAh battery and runs on Android 8.1.0 out of the box. 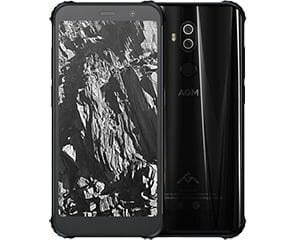 AGM X3 has been released in China but is not available globally. The 8GB/128GB variant of AGM X3 is priced at $645 USD while 8GB/64GB is priced at $560.